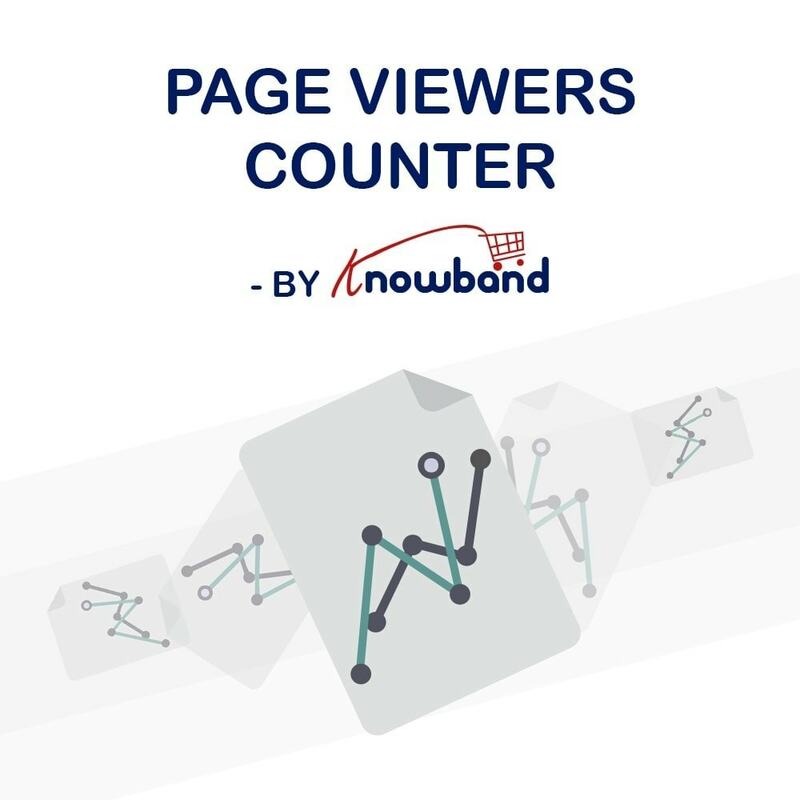 PrestaShop Page Viewers Counter display's the number of customers currently visiting a particular page on your site to the customers as well as the admin. This Prestashop module has been designed to display the number of visitors on a page on your site to the customers as well as the site admin. It shows a message like "currently x number of people are looking at this page". By showing the number of visitors on a page you can showcase the popularity of your pages to your customers. It will particularly strengthen the confidence level of your customers by making them feel that they are viewing a popular product on the site. Moreover, it will provide a trust factor and authority to your website pages. It increases the popularity of your website pages. Imparts confidence and authority to your website pages. Visitor counter module increases the conversion rates of your products. You can configure the front-end according to your website's theme. No coding required; just adjust the look and feel settings to customize. You can also add custom CSS codes right from the back end for advanced customization. You can choose to auto-hide the block after a certain time; say after 10 seconds. You can configure the settings for each page separately. 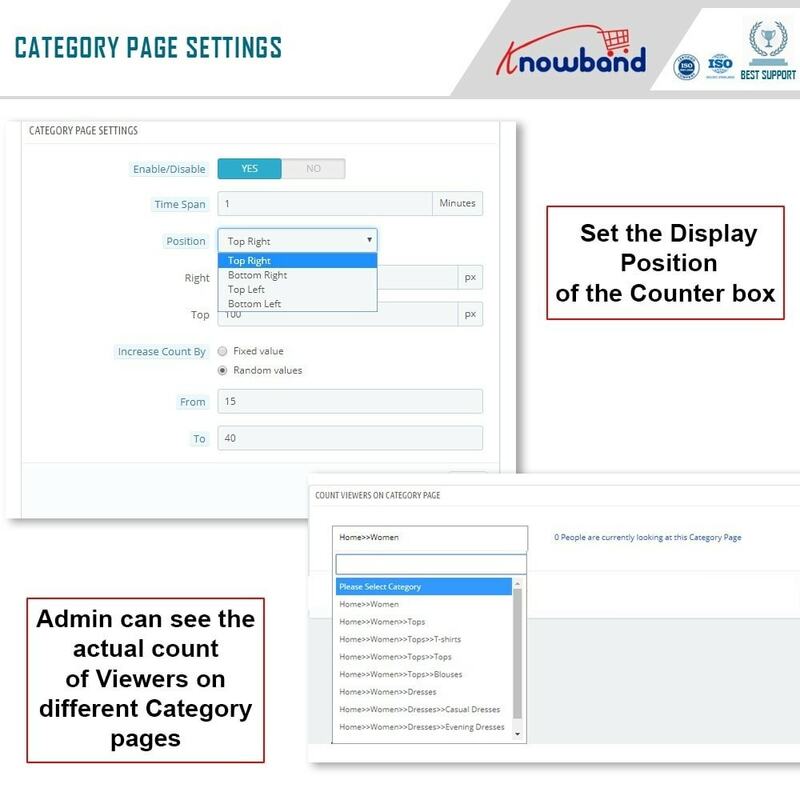 You can view the number of viewers according to the page from the admin panel too. The Prestashop page viewer plugin is very easy to install and configure. Option to enable/disable the module with a simple toggle switch. Edit or change the custom message shown on the front to the customers. Customize the look and feel of the message from the back-end. Choose a time period after which message will be auto-hidden; say after 5 seconds. Choose a different position on different pages to show the message. 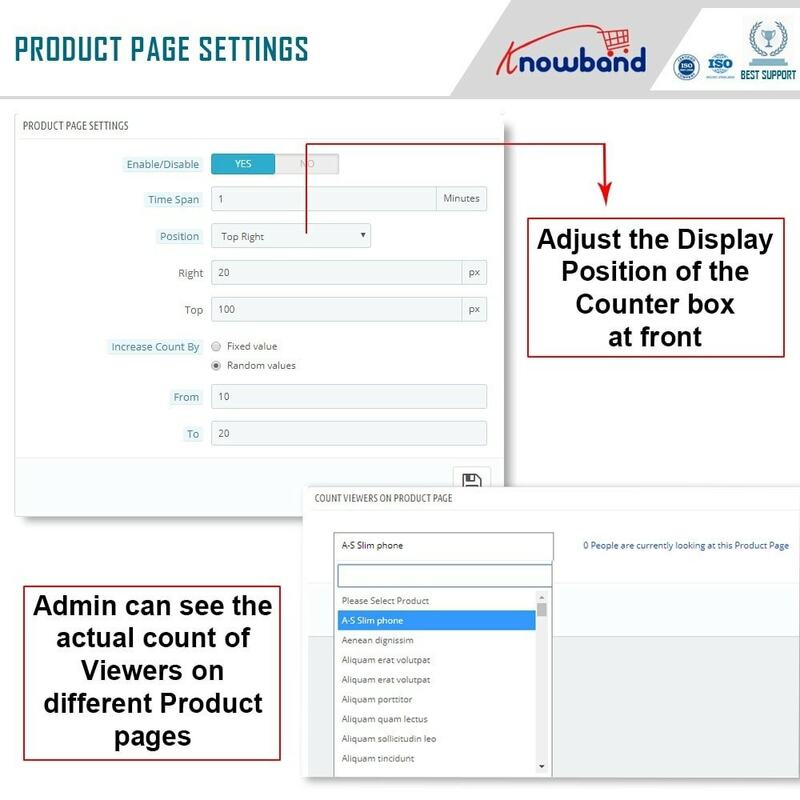 Admin can choose the number of visitors he/she want to show for a particular page. Choose a fixed number of visitors or a random number from a range; say between 200- 400. The Prestashop counter module is fully mobile responsive. 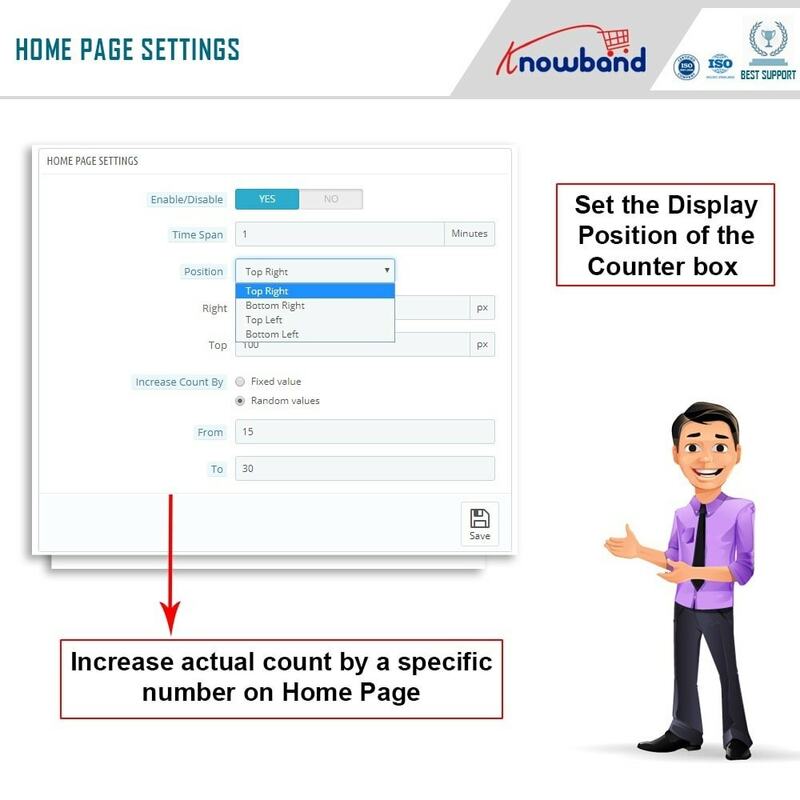 Page view counter extension is compatible with all the PrestaShop themes. Flexibility to show the block anywhere on the page. You can use this website hit counter extension on your SSL enabled store too. Visitor hit counter module is multi-store compatible also. 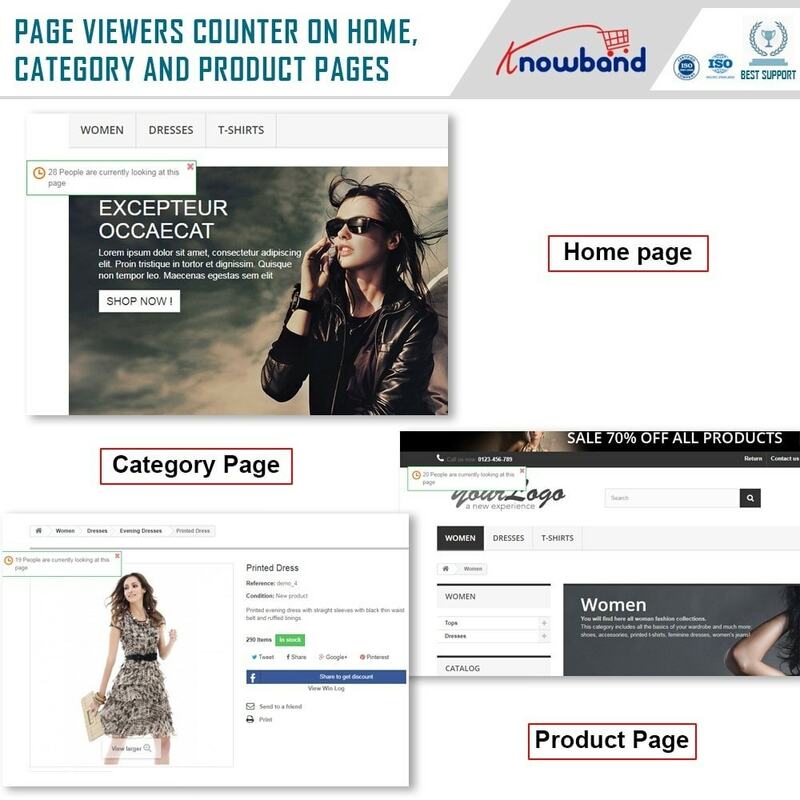 The Prestashop Website Testimonial module by Knowband allows your customers to share their shopping experience by writing testimonials on your website complemented with images in the feedback. Prestashop product sales count addon is an effortless way to increase your customer’s confidence. This Prestashop module allows the admin to show increased or actual product sales count on product listing or on the product page. Mobile responsive and appealing interface. Compatible with all browsers, customers won't face any design issue on any browser. Quick page load; does not slow down the page loads. 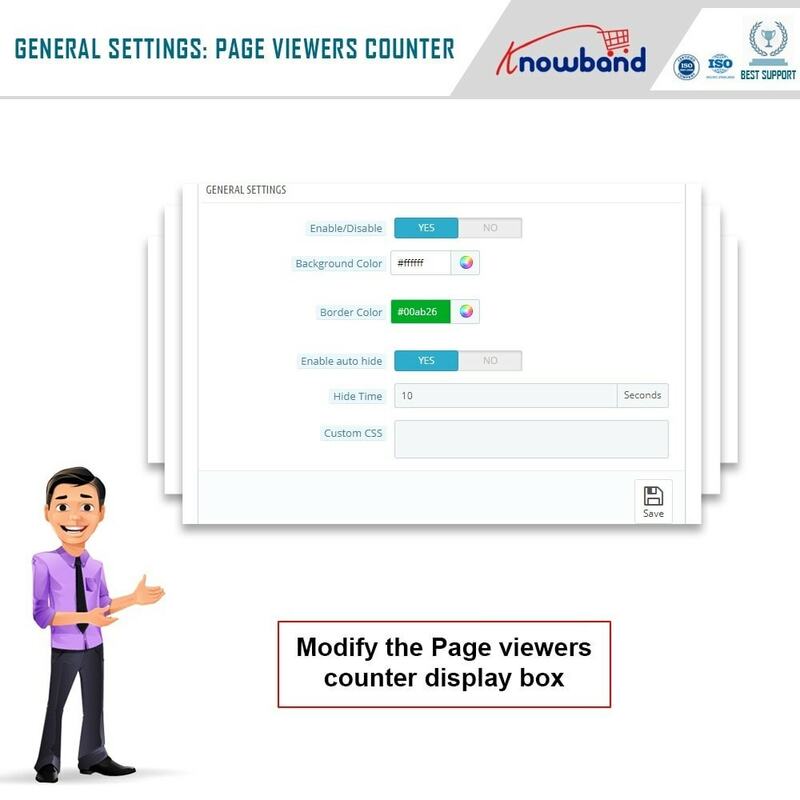 They can trust the product by looking at the number of viewers.